To ask other readers questions about The Art of Vanishing, please sign up. This cover and title appealed to me when I was putting new releases out so I read the blurb and I felt great hope that this was going to be a book that I would relate to. The reviews/rating vary wildly and now that I've read it, I understand why. Either, you feel this way, you 'get' the restlessness, the longing for something more, the feeling of suffocating from the typical American life or you don't. I get it. I can relate to her feelings of growing up and seeing society having one day after a This cover and title appealed to me when I was putting new releases out so I read the blurb and I felt great hope that this was going to be a book that I would relate to. The reviews/rating vary wildly and now that I've read it, I understand why. Either, you feel this way, you 'get' the restlessness, the longing for something more, the feeling of suffocating from the typical American life or you don't. I get it. I can relate to her feelings of growing up and seeing society having one day after another that looks the same and is a cycle of work, chores, work , chores, work, chores, and being horrified at the idea of it. I noticed some of the reviewers felt insulted that she wanted nothing to do with the lifestyle that they lived and loved but I don't know why, she didn't say there was anything wrong with it, just that it's not for her. I understand it. It resonated deeply with me on so many levels , many of which are too personal for me to even discuss in a public forum. I actually felt that I could have/should have written such a book because her words articulated much of my own experiences and feelings. It was incredibly reassuring because certainly if I am this way and so is she, then there are others. Her complete lack of interest in domesticity or a life of routine , her not understanding why her friends longed for these things that seemed like a trap, her yearnings and longings, I could have written these same words. The story goes between her musings of her own life and marriage and the story of Barbara Follett, a child prodigy born in 1914 , who vanished. Barbara was a writer and her books were about living the extraordinary life, not being restricted by the times and society she lived in, about becoming part of the sea and belonging to no one. She vanished and no one has been able to discover what became of her. Laura, the author, becomes borderline obsessed with solving the mystery and I found both Barbara's story and Laura's trying to uncover her mysteries to be utterly compelling. 3.5 stars-- Giving this book a rating took me 24 hours after finishing it to do. Laura Smith is restless. She is young and married, yet feels trapped. While she is grappling with this, she works on researching Barbara Follett who disappeared at a young age. As she tells the story of Follett, Laura tells her story. One that is full of adventure in travels, work, and even her marriage. While I enjoyed both aspects of the story, I just did not feel that they gelled together too much. Though there w 3.5 stars-- Giving this book a rating took me 24 hours after finishing it to do. Definitely a case of it's me, not you, just not connecting with it, decided to move on. Read the Wikipedia page on Barbara Follett instead of this bloated memoir. It's fine for the first several chapters, but descends into tedium when Smith starts wanting an open marriage. The author is so annoying, whinging about problems she literally created herself, I was rooting for her husband to walk out. The only intriguing aspect is when the author searches extensively for a figure in Follett's life but comes up empty-handed, then turns it over to a librarian and receives the precise detail Read the Wikipedia page on Barbara Follett instead of this bloated memoir. It's fine for the first several chapters, but descends into tedium when Smith starts wanting an open marriage. The author is so annoying, whinging about problems she literally created herself, I was rooting for her husband to walk out. Laura Smith became rather obsessed with the life of Barbara Follet, a young woman who walked away from her family in 1939 and was never heard from again. Barbara had published a novel at age 11 and become a sailor at 15. All through THE ART OF VANISHING, Laura correlates their 2 lives as Linda begins to question restraints her marriage seems to impose. I enjoyed reading this book which I received for an honest opinion. I'd rate THE ART OF VANISHING 3.5. This review has been hidden because it contains spoilers. To view it, click here. A beautiful, gripping, and provoking book. Smith skillfully interweaves the story of Barbara with her own; she had me always wondering what would happen next in each plot line, always wanting more. The prose is beautiful; you get the sense that each sentence was carefully constructed. The amount of research and work Smith put toward finding out what happened to Barbara and understanding her life is impressive. While I can understand how some readers might not want to come along on that journey, A beautiful, gripping, and provoking book. Smith skillfully interweaves the story of Barbara with her own; she had me always wondering what would happen next in each plot line, always wanting more. The prose is beautiful; you get the sense that each sentence was carefully constructed. The amount of research and work Smith put toward finding out what happened to Barbara and understanding her life is impressive. While I can understand how some readers might not want to come along on that journey, I loved how—especially later in the book—Smith talked about all her research. It made me feel as if I were right by her side every step of the way, trying to solve the mystery of what happened to Barbara. I had really high hopes for this book, but it never seemed to really come together for me. I will say that Barbara Newhall Follett's story was fascinating and well-written, as was the author's investigation into what happened to her. The author's own memoir, however, threaded throughout this investigation felt forced into Barbara's narrative. It read like two books tangled together. The Art of Vanishing, which tells the parallel stories of a historic disappearance and the author's own experiences with love and travel, is utterly fascinating. Smith has woven together both histories incredibly well, and I could hardly put it down. The perfect book for a long flight. This book does not live up to its title. The story of Barbara Follett is interesting; the author’s journey as a writer and a wife in an open marriage is less so. I have such mixed feelings about this book. I found the story of Barbara Newell Follett fascinating. The author’s description of her research into Follett’s life was also great. What didn’t quite work for me was the author’s attempt to parallel her relationship issues with Follett’s life. The attempted connections seemed forced. All in all, I’m glad I read this book because it introduced me to Follett and her works. (Listened to this on audio from the library) been making my way through it the past couple of days. This is one of those books I went into expecting to love. 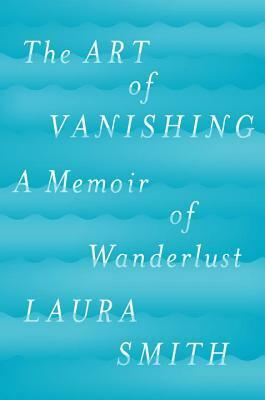 I love memoirs by women and adding a woman who lives with wanderlust is the icing on the cake for me! I love travel memoirs. It also, although nonfiction, has one of my favorite tropes..women separated by time and one is searching for the other in some way or their lives are parallel in some way. This one missed the mark for me though. The (Listened to this on audio from the library) been making my way through it the past couple of days. I liked this more than I thought I would. I rarely read contemporary memoirs, which isn't surprising given my interest in history. But Smith set her own story of love and marriage against that of Barbara Follett, a celebrated child author who disappeared as a young woman in 1939. Smith writes very well about Follett's life and of her attempts to figure out what happened to her. Those parts were fascinating. I so wanted to like this book A LOT. I wanted this book to be the glimpse into my own mind. However, I felt like the author herself did not feel like HER experiences warranted a book. I was disappointed to be constantly pulled away into a parallel story about Barbara. I wanted to know about Laura. The little that I did get I enjoyed - I wanted more. Reads like a first book yes, but a very skillful examination nonetheless of marriage, relationships and wanting to be your own person while with someone else. I very much look forward to what Laura Smith does next. This writer has a very bright future ahead of her. 2.5, if I could. Will write a review after our book club meeting. Laura Smith has written a captivating memoir, one that interweaves the story of her new marriage with that of child genius Barbara Follett, who mysteriously vanished at age 25 after the breakup of her marriage. In her retelling Smith reflects on the nature of commitment, the desire for independence, and the temptations of wanderlust. An effective and unusual memoir! This is a story of a young woman who searches for a former child prodigy who disappears in the late 1930's without a trace. Barbara Follett was a published writer by age 9 and went on numerous adventures on both land and sea. She was an Amelia Earhart type of modern woman who did not wish to be confined to a woman's role of wife and mother. Yet, she met a man she ended up marrying only to be shattered when he decided to leave their marriage. The author, investigating for her post-graduate work, This is a story of a young woman who searches for a former child prodigy who disappears in the late 1930's without a trace. Barbara Follett was a published writer by age 9 and went on numerous adventures on both land and sea. She was an Amelia Earhart type of modern woman who did not wish to be confined to a woman's role of wife and mother. Yet, she met a man she ended up marrying only to be shattered when he decided to leave their marriage. The author, investigating for her post-graduate work, sees correlation between Barbara's predicament and her own struggles with marriage and freedom. This review has been hidden because it contains spoilers. To view it, click here. Interesting and well-written, and yet. . .
For all the research and soul-searching, there are no conclusions or even very good theories that might lead to conclusions. The missing is not found, the unstable continues to wobble. Enjoyable to read, unsatisfying to finish. I would like to see the author try again. "How could one family, one life lived in one place ever satisfy?" A suspenseful book about two women's wanderlust, told over a century. A mystery is unfolding that drags the reader through the pages, both in the past--centered on Barbara Follett a child prodigy who vanishes from a marriage at 25--and in the present through Laura's memoirs about writing this book in her own marriage around the same age. It is a very quick read. Fundamentally, this is a book about desire to live more than one life. "How could one family, one life lived in one place ever satisfy?" Fundamentally, this is a book about desire to live more than one life. Who hasn't wondered about the roads not taken, the parallel lives unlived? Smith gives voice to these questions as she investigates Barbara's life and tries out other lives along the way. She finds, perhaps unsurprisingly, how challenging it is to live more than one life in practice. It is a very honest take on marriage, particularly about how it binds women to a more narrow set of options, even as their own preferences change over time. "At some point, love crosses over from being the buoy that lifts you up to the tide that drags you under." The parts about Barbara's family of origin are particularly fascinating tales the nuclear family's disfunction and its harmful consequences. "Wilson’s [her father's] love was complicated. In one of the early baby book entries, he refers to himself as Barbara’s “most unsparing critic.” She was one year old." I imagine that this book is not as well rated as it deserves to be because it is about women stretching the boundaries of their small, domestic lives. That makes many in our patriarchal society uncomfortable--not least other women. And even if some of the decisions the author makes have difficult consequences, I do not judge her, instead valuing her honest reportage. We tend to judge women more harshly for making self-oriented and experimental choices. I won't join in that trend. This is a very good book. "The coming years would prove that Wilson had missed the essential lesson of his own book: you cannot run away when the thing you are running from is yourself. The sea is inside you." "I realized that one of the things I had lost was a story: the simple story of marriage, with clean lines and a sensible narrative arc. I always imagined this told in the form of a toast at a golden anniversary." "I was still young, in that sweet spot where I looked forward to the parts of life that were ahead of me, but felt a little more confident about my place in the world." "We move toward one another and we move away. We draw near, we retreat. We start over again. Perhaps the chase has only just begun." I LOVED where this book was going for the first half. Barbara Follett's life is fascinating. But, this is a memoir, not a biography. And so, it must reflect back to Laura Smith. The problem is that Follett is much more interesting than Smith. It was a real page-turner, but I found myself skimming Laura Smith's memoir parts to get back to the Follett mystery, and found the ending (understandably) unsatisfying. (view spoiler)[ Even if the Follett mystery were definitively solved, I felt like the l I LOVED where this book was going for the first half. Barbara Follett's life is fascinating. But, this is a memoir, not a biography. And so, it must reflect back to Laura Smith. The problem is that Follett is much more interesting than Smith. It was a real page-turner, but I found myself skimming Laura Smith's memoir parts to get back to the Follett mystery, and found the ending (understandably) unsatisfying. (view spoiler)[ Even if the Follett mystery were definitively solved, I felt like the last five chapters were the equivalent of a marathon runner slowly becoming winded and simply ending up out of breath, unable to continue, and left having to look down the road wondering where the race ended. And perhaps that's simply how it has to be with such a mystery. I loved the style and content of this book and especially the structure: alternating chapters of Barbara and the author's very personal experiences. After a long discussion of Barbara, Chapter Seven begins: "We flew to Phuket..." Wait! What? Phuket has an airport!!? I was hooked by this switch since when I was in Phuket many years ago and stayed out at Bateau Ferrengi ("Beach/Boat of the Strangers") and everything was 60 cents: a meal, a bed even a pipe of opium and there certainly wasn't an airp I loved the style and content of this book and especially the structure: alternating chapters of Barbara and the author's very personal experiences. After a long discussion of Barbara, Chapter Seven begins: "We flew to Phuket..." Wait! What? Phuket has an airport!!? I was hooked by this switch since when I was in Phuket many years ago and stayed out at Bateau Ferrengi ("Beach/Boat of the Strangers") and everything was 60 cents: a meal, a bed even a pipe of opium and there certainly wasn't an airport between Kuala Lumpur and Bangkok. 1. her husband killed her and disposed of the remains. Initially, it was open and shut since her husband had motive but then I changed my mind to suicide (Sylvia Plath, Virginia Woolf and other women writers committed suicide). But, it could have been any of these causes of death. I read the book in two sittings and at certain points I felt I was far getting too much information about both Barbara and about the author's personal life. Nevertheless, I read every line (which is unusual for me - I read at least five hours a day). I'm surprised I never heard of this precocious child/author who looked at life as a time for adventure and novelty. I also see Laura Smith, the author, as having a similar world-view and she was just the right woman to write this remarkable book. Smith writes an intricately woven story of her own life and marriage juxtaposed with that of her research subject Barbara Newhall Follet. Although listed as a memoir, Smith combines Follet's biography in with her own. In large part, that has to do with Smith's obsession over Barbara, and how involved her own life became in that of Barbara's. The set up for this memoir unfolded a bit strangely, as it read as very heavy on the Follet biography side at the beginning, gradually shifting towards bein Smith writes an intricately woven story of her own life and marriage juxtaposed with that of her research subject Barbara Newhall Follet. Although listed as a memoir, Smith combines Follet's biography in with her own. In large part, that has to do with Smith's obsession over Barbara, and how involved her own life became in that of Barbara's. The set up for this memoir unfolded a bit strangely, as it read as very heavy on the Follet biography side at the beginning, gradually shifting towards being more so about Smith's own life by the end. I liked how she compared herself to Follet throughout the story, and found it fascinating when those around her compared and contrasted Smith's romantic life with Follet's as well. However, I wasn't keen on learning as much as I did about Barbara Follet. I can see that Smith was at times obsessed and generally fascinated with this missing person's story, constantly hunting for answers. It almost feels as though Follet was such a large part of Smith's life that of course she couldn't be left out, but did I need to know as much as I learned? Follet certainly lived an interesting life, but I wasn't invested in her as a reader, unfortunately. This review has been hidden because it contains spoilers. To view it, click here. I was intrigued by the story of Barbara Newhall Follett when I read an excerpt from this book, and so got the book. The questions posed were ones I am invested in: restlessness, how to make marriage fit in a modern world, the dissatisfaction with doing the same conventional things over and over again for decades. In the end, while this book was a quick read, I found myself bored by the author. The story of Barbara Follett in the beginning drew me in, and I enjoyed the first third of the book. But I was intrigued by the story of Barbara Newhall Follett when I read an excerpt from this book, and so got the book. The questions posed were ones I am invested in: restlessness, how to make marriage fit in a modern world, the dissatisfaction with doing the same conventional things over and over again for decades. Everything about this book spoke to me: wanderlust, disappearing restless women, the author's first name, the perfect-shade-of-blue jacket... I had to read this book! In the end, it left me a tad disappointed. Overall, I liked it, but feel the author pushed her own story into Barbara's much more fascinating story where it didn't belong. There really is no comparison between Barbara and Laura other than they both were restless at times. But they were restless about way different things! Barbara wa Everything about this book spoke to me: wanderlust, disappearing restless women, the author's first name, the perfect-shade-of-blue jacket... I had to read this book! In the end, it left me a tad disappointed. Overall, I liked it, but feel the author pushed her own story into Barbara's much more fascinating story where it didn't belong. There really is no comparison between Barbara and Laura other than they both were restless at times. But they were restless about way different things! Barbara wanted to live an adventurous life at sea. Laura wanted to cheat on her husband. Totally different. "Kindness to others is often a rewarding experience to ourselves." Laura Smith needed a new lease on life as she began to feel trapped in her marriage and wished to be set free. Restlessness was a real downer until she became wrapped up in a similar story written by Newhall Follett. Newhall led a very interesting life having published her first novel at only eleven. Laura looked up to her for inspiration and channeled her energy. In leaving we uncover our truths. In breaking the chains we uncover ou "Kindness to others is often a rewarding experience to ourselves." In leaving we uncover our truths. In breaking the chains we uncover our freedoms. Newhall left her husband Wilson and went on an amazing journey during the height of the depression by hiking the Applalachian Trail. Her work 'The House Without Windows' by Follett was published at the age of twelve and Laura was entranced and captivated by it all. Laura also questioned what ever happened to this well known author? Who is Nick (Nickerson Rogers) and what role did he play? I really enjoyed this book, but it doesn’t really match with the title. I’d give the first 1/3 of this book 4 stars, but the rest petered out for me. I like how Smith alternates chapters between her own story and the life of Barbara Follett. I really enjoy the exploration of wanting a life that is less than conventional. I also got a few quotes that really hit home and I wrote them down for future consideration. But the mystery of Follett’s disappearance loses its pull as the book moves along. Smi I really enjoyed this book, but it doesn’t really match with the title. I’d give the first 1/3 of this book 4 stars, but the rest petered out for me. But the mystery of Follett’s disappearance loses its pull as the book moves along. Smith’s willingness to share her own marital issues is admirable and definitely makes for an intriguing read. Yet, I was left feeling underwhelmed by the end of the book. This book could not have come to me at a better time. After recently packing my bags, selling what I couldn’t carry, and moving to the other side of the planet with my partner, I found myself wondering: is this adventure or escapism? Are we freeing ourselves or tying ourselves to each other? Are we happy? Laura Smith weaves the enigmatic story of Barbara Follett with her own beautifully honest and vulnerable take on adventure, relationships, and “settling down”. It’s more personal than your stand This book could not have come to me at a better time. After recently packing my bags, selling what I couldn’t carry, and moving to the other side of the planet with my partner, I found myself wondering: is this adventure or escapism? Are we freeing ourselves or tying ourselves to each other? Are we happy? The author wraps her own story about her longing for freedom with a real-life story of Barbara a woman who vanishes without a trace in the 1930s. The author describes living in a world where she felt she should get married, buy a house, have kids and be satisfied. She decided to get married but not follow the "rules" after that. Barbara is a child-prodigy who goes on adventures and disappears after a few years of marriage. Everyone in her life wonders whether she was dead or whether she simply d The author wraps her own story about her longing for freedom with a real-life story of Barbara a woman who vanishes without a trace in the 1930s. The author describes living in a world where she felt she should get married, buy a house, have kids and be satisfied. She decided to get married but not follow the "rules" after that. Barbara is a child-prodigy who goes on adventures and disappears after a few years of marriage. Everyone in her life wonders whether she was dead or whether she simply disappeared into the world.